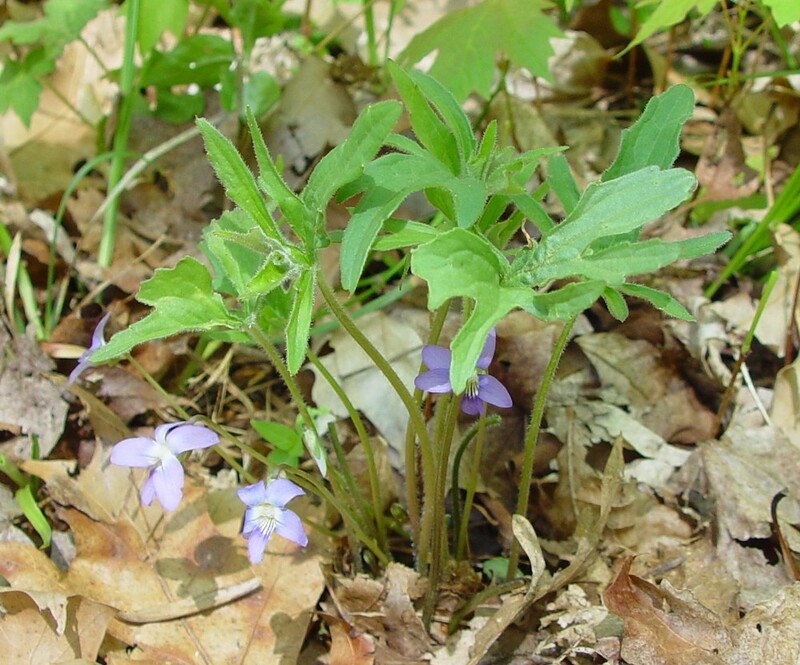 Viola subsinuata is a native, acaulescent, blue-flowered violet with prominently lobed leaves. It is restricted in New England to the southern and western portions of the region. 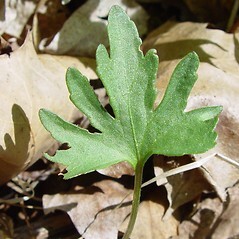 first series of leaves unlobed, the later leaves lobed, the midseason leaf blades with mostly 3-5 lobes (vs. V. subsinuata, with all the leaves lobed, the midseason leaf blades with 5-16 lobes that become progressively smaller and separated by shallower sinuses toward the basal margins). 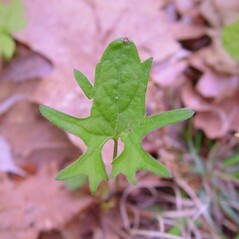 sepals lanceolate, acuminate at the apex, eciliate, capsules green, and leaf blades essentially glabrous (vs. V. subsinuata, with sepals ovate, rounded to obtuse at the apex, usually at least sparsely ciliate, capsules green and spotted or suffused with purple, and leaf blades usually pubescent). 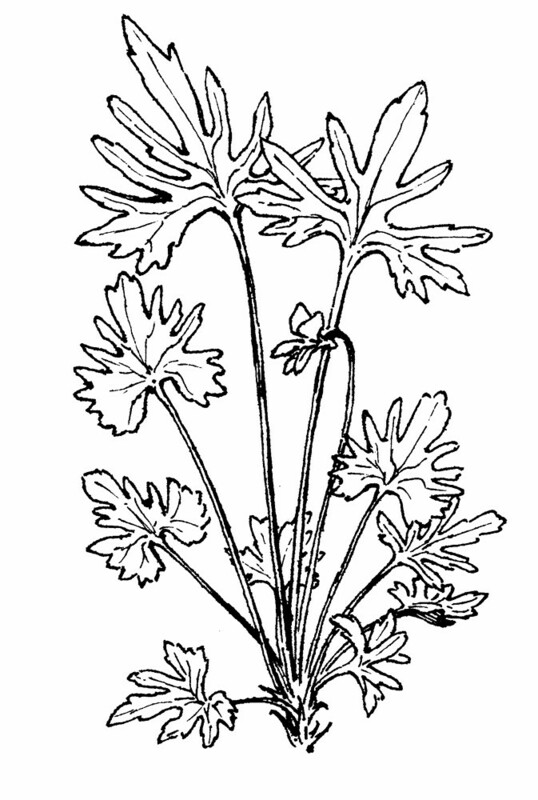 Viola palmata, auct. 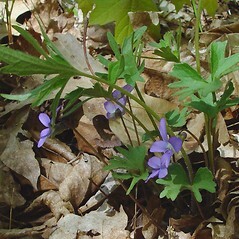 non L.
early blue violet. 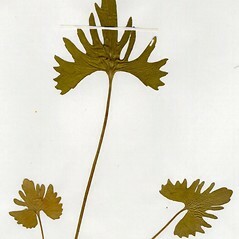 Viola palmata, auct. 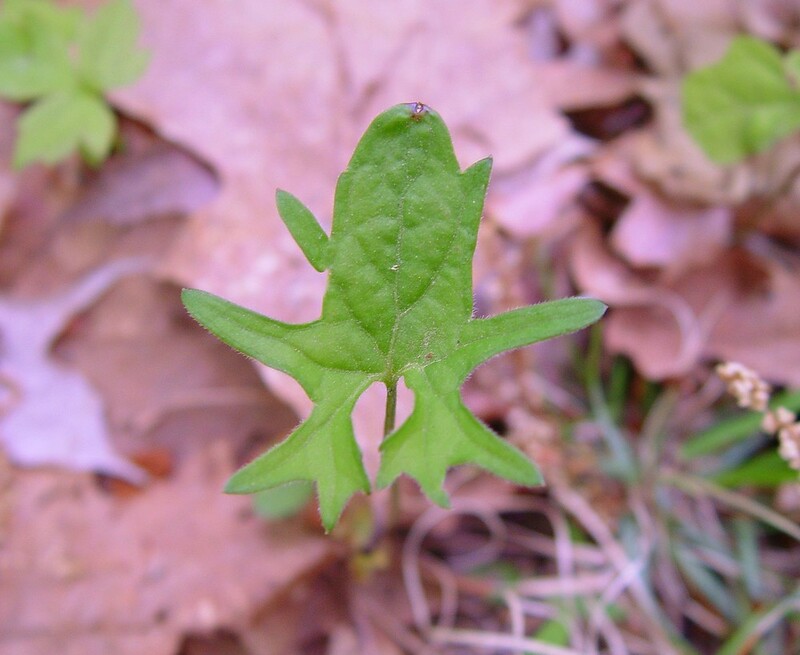 non L. • CT, MA, RI, VT. Woodlands, rocky ridges, trail edges, especially frequent on trap rock (southern locations) and limestone (northern locations). 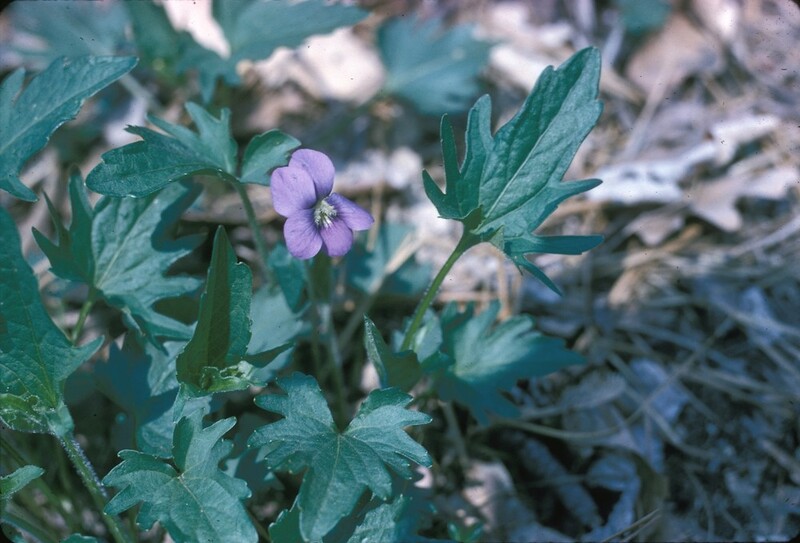 This species has been confused in the literature and treated as Viola palmata by many authors. 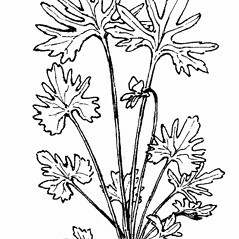 Haines (2002) discusses the nomenclature, identification, and distribution of this species. 7×29. 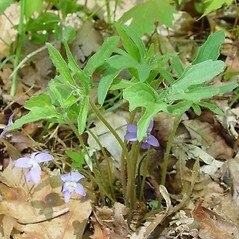 Viola cucullata × Viola subsinuata → Viola ×‌ryoniae House is a very rare violet hybrid known from CT. 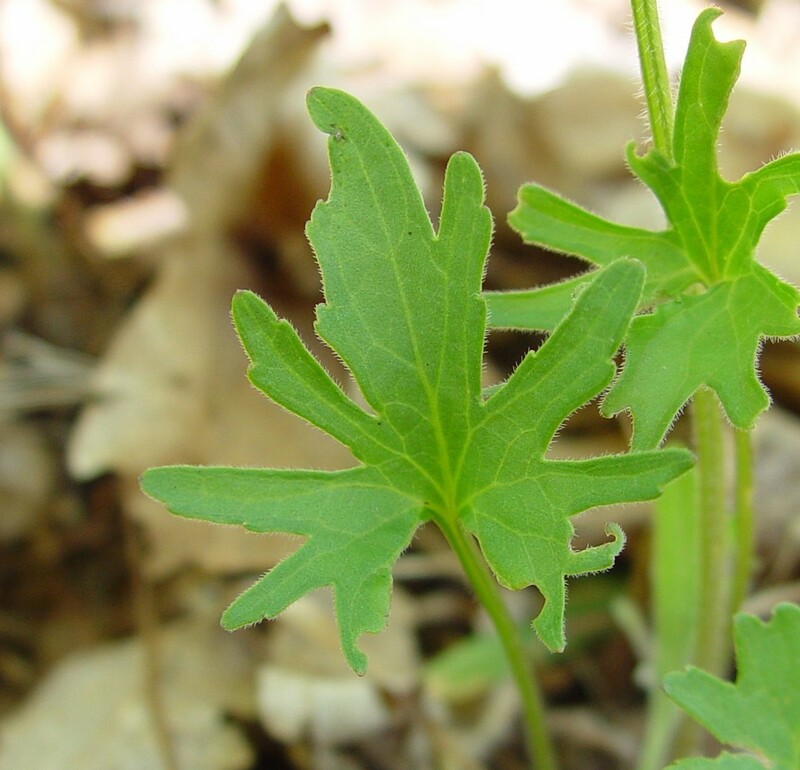 It is a sparsely pubescent plant with lobed leaf blades (the lobes separated by shallower sinuses than in V. subsinuata). 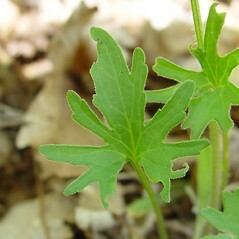 The sepals are usually ciliate (at least sparsely) on the auricles, and the cleistogamous flowers are variably borne on prostrate to ascending peduncles. 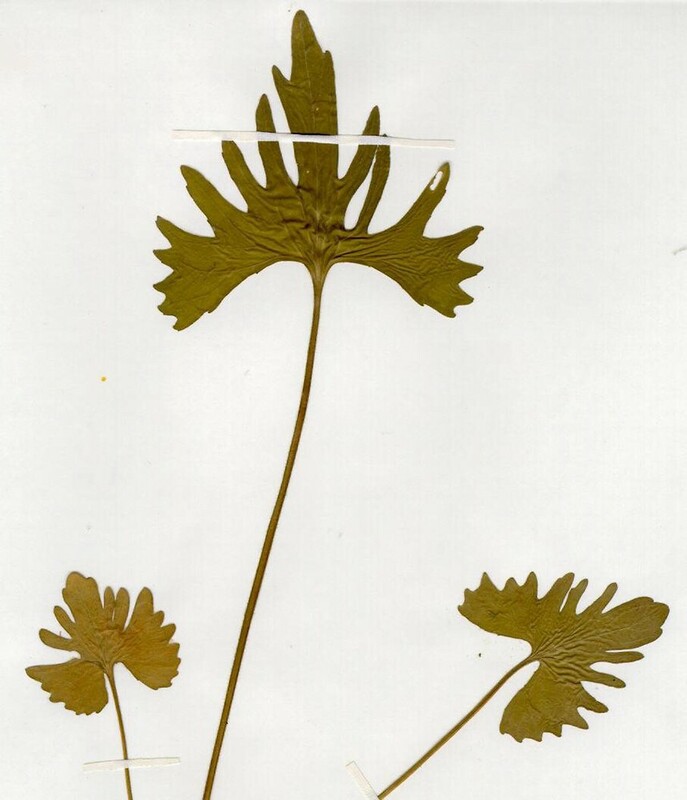 This plant might be confused with V. palmata or V. subsinuata, but the more elongate sepal auricles, fewer cilia on the sepals, presence of some ascending cleistogamous peduncles, and sparse pubescence during flowering would all point to hybridization with V. cucullata. 27×29. 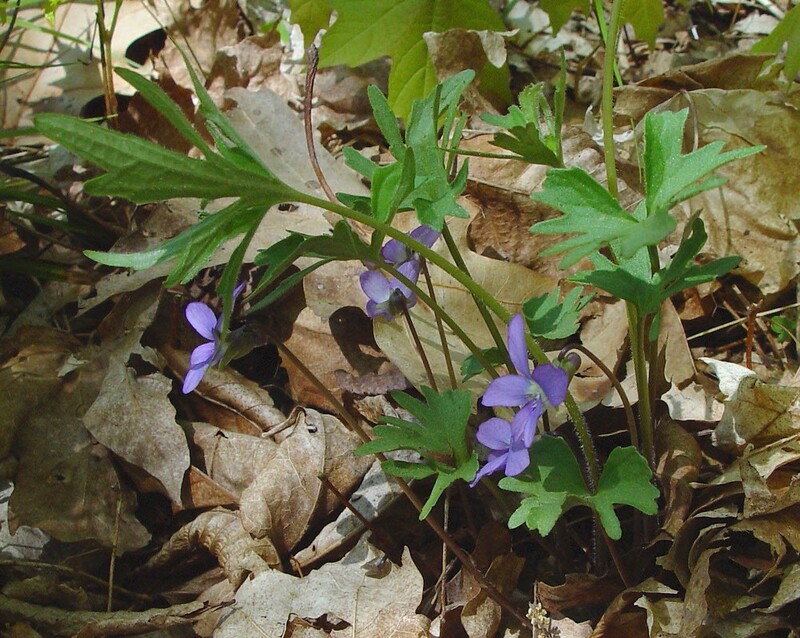 Viola sororia × Viola subsinuata → This very rare violet hybrid is known from MA. 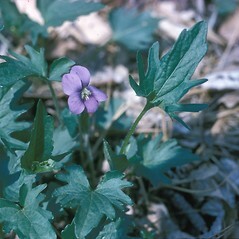 It would most likely be confused with Viola subsinuata but has reduced lobes on the later leaves (leaf blades with median lobes 4–12 mm long rather than 6–37 mm in V. subsinuata). 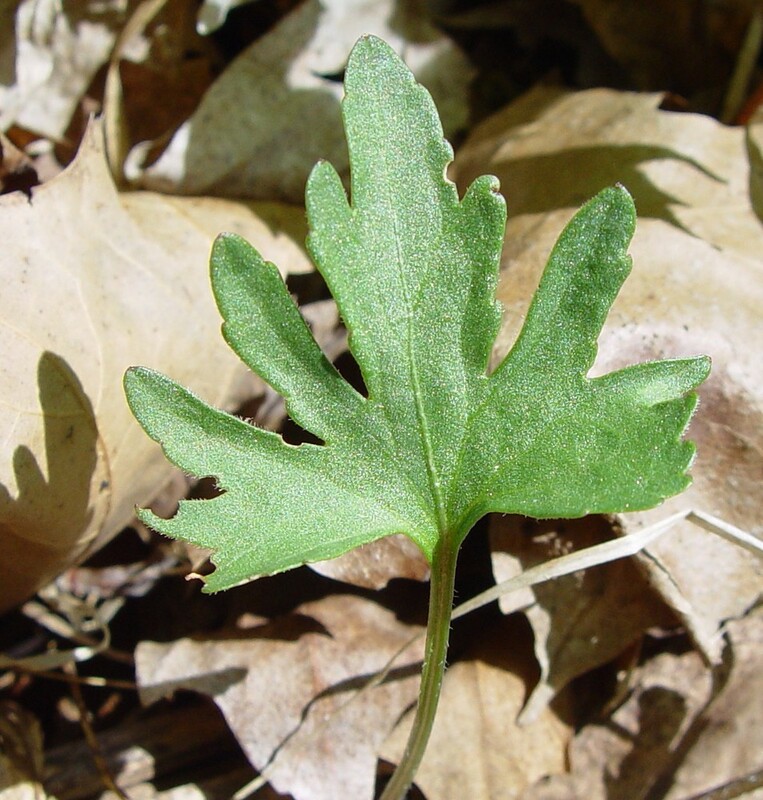 Further, the early leaves tend to be obscurely lobed (rather than more evidently lobed in V. subsinuata).